How the AACM Can Help You! Replay is available now for a limited time! Click the >> arrow above to play the webinar! 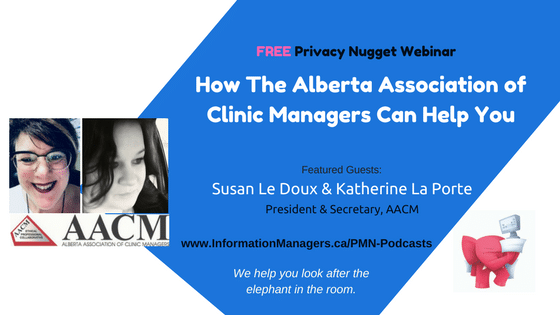 In this Practice Management Nugget Webinar for Your Healthcare Practice, Susan Le Doux and Katherine La Porte of the Alberta Association of Clinic Managers (AACM) will discuss the 3 common problems AACM can help clinic managers solve. Chat – ask your questions here. Questions? Send an email to Jean. Susan Le Doux is the current President of AACM and has been working as a Manager in the medical field for over 6 years and in management for over 20 years. 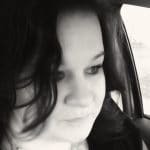 It has been her privilege to be involved with the AACM since she joined the clinic in 2012, first as a member and then apart of the Executive for the past 4 years. She is a married mom of 6 and has lived in Calgary most of her life. Management has always been a part of who she is and she loves the challenge of getting a team to work together on accomplishing the same goals and moving forward as a unit. 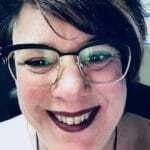 Katherine La Porte is the Secretary of AACM and has been working in Healthcare management for over 15 years both in community practice and as a part of a Primary Care Network. She has been a member of the AACM for the past 4 years, first as a member and now as the Secretary. She has found the AACM to be an excellent source of knowledge and beneficial for networking with fellow managers.